Realizzate nail art senza Lampada: abbellite le vostre unghie naturali o artificiali senza l’utilizzo di attrezzature tecniche. Unopened and unused. We are always here to help. Actual Images of the item are shown above. 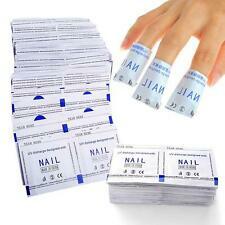 100% Pure Acetone Superior Quality Nail Polish Remover UV/LED GEL Soak Off. For nail polish removal simply soak lint free wipe with 100% Acetone Remover and wipe polish away. 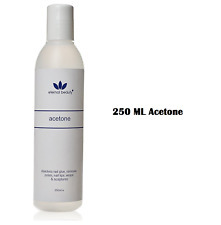 Our 100% PURE acetone is perfect for removing just about anything. 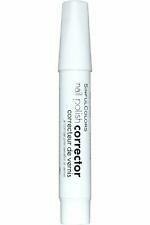 Nail Polish Corrector Pen. Sinful Colors. These are dry wipes use with nail polish remover or gel cleanser. Finishing wipe, nail prep and brush cleaner without leaving any fibers. All prices stated are in the currency specified. Add to favs. Acetone Tip Remover Purified acetone specifically designed for removing acrylic nails formulated with a pleasant fragrance. Common Uses for Acetone. 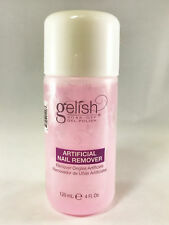 · Used to remove nail varnish. · Removing acrylic and false nail. The Edge Acid Free Nail Primer 15ml is the perfect bonding product. Ideal for clients with sensitive nails. The Edge Acid Free primer ensures your nail enhancements stay put and adhere to the natural nails ideal for clients with nails prone to product lift. Suitable for UV Gel, Liquid and Powder, plus all other nail enhancements. Professional Product for Professional Results. The Edge Nails Primer Pen dehydrates the nail bed prior to applying nail extensions, helps to prolong the durability of nails and helps to prevent lifting. The pen allows for easy and precise application and is the perfect choice for mobile technicians as its a small portable product. To prolong the life of the pen keep out of direct sunlight and replace cap after use Professional Product for Professional Results. Mit demNagel Cleaner 100ml lassen sich Kunst- und Naturnagel vor und während der Anfertigung einer Nagelmodellage bearbeiten. Vor der Nagelmodellage sorgt der Cleaner auf dem Naturnagel für das Entfetten der Nagel und desinfiziert die Oberfläche und umliegende Region des Fingers, der während der Nagelmodellage mit den Produkten in Verbindung kommt. Step 1 - Soak the pad with removal solution or acetone & shake off any excess. DOES NOT INCLUDE ACETONE. For manicure or pedicure. Step 2 - Place the soaked pad on the nail. The hem should be at the base of the finger or toe, below the cuticle. Handy felt-tip pen removes nail varnish mistakes, leaving perfect, professional-style results. 720 LINT FREE HIGH QUALITY COTTON WIPES. Easy To Cleaning Nail Gel And Nail Polish. Made Of High Quality And Soft Cotton. Size: 6(L) ×4(W)cm/ 1pcs. Ideal for removal of nail polish, Varnish, Nail art. The easiest way to remove nail varnish from your natural nail. Unscrew the lid and simply dip your finger into the sponge, twist and remove. npw Nail polish remover pot. 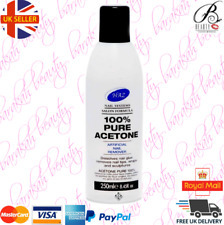 100% Pure acetone specifically designed for removing acrylic nails formulated with a pleasant fragrance. They are appropriate for use with any remover and with any nail colouring. They are specially designed to absorb any liquid. 500 tabs per roll. Ideal for removing the sticky residue from Gel nails. 2 x Nail File Cuticle Spoon Pusher Remover. The Curved End is used to Push Back Cuticle. Professional made, easy to trim and remove cuticle of your nails or toes. Indispensable nail file for nail art and beauty care. Nail CLEANER 500ml Schwitzschicht Entferner Gel Nägel Naildesign Nageldesign. Entfernt die Schwitzschicht nach dem Aushärten. Entfernen der Schwitzschicht. Nail CLEANER 500ml -Entfetter- Schwitzschichtentferner- Reiniger-. Award Winning Official Brand Registered Seller FREE & Fast Shipping OFFICIAL UK Brand Registered Seller Highest Quality FREE & FAST Shipping PayPal Accepted FREE UK SHIPPING NYK1 Soak Off Dishes x2 with 200 Lint Free Wipes Rounded, seamless edge for wrist comfort. Gently contoured to support palm and fingers. Extra deep for saturation without spill. Package includes: 2x nail soak bowls in Pink and 200 lint free wipes both Suitable for nail treatment, removing false nail treatments. Salon professional, nail salon, nail art school / college, nail art artist and personal / home use, Payment Shipping Returns PaymentShippingReturns We accept immediate payment via PayPal - Or you may use various options through our website. Simple - we offer FREE Shipping to the majority of the UK on almost all of our products. Capacity: 150ml. Professional Cleaning Fluid For Hybrid Nail Cleaner Ultra Ingrid is intended for washing and cleaning of the nail plate. for use on paved TOP COAT to remove the adhesive layer from the surface of the nail. Capacity: 150ml. Acetone Free nail polish remover contains Vitamin E and Avocado Oil. It removes nail polish without destroying the surface of nail plate. Quickly and effectively removes every nail polish. OPI Expert Touch Soak-Off Gel Lacquer Remover 120mL/4oz. OPI Expert Touch Lacquer Remover is more effective than traditional polish removers, because it is strong enough to fully remove even the darkest shades without staining than nail or skin. Ideal for removal of nail polish, Varnish, Nail art, Ombre. The easiest way to remove nail varnish from your natural nail. Unscrew the lid and simply dip your finger into the sponge, twist and remove. No Acetone. ITEM : Nail Polish Remover. 2 fl oz / 59 mL. CONDITION : NEW! Made in USA. If an item was unintentionally misrepresented or a mistake was made on our part, we will make it right! If the candy has softened, give it a chance to firm up before handling further.